The next few weeks could lead to a whole new chapter in the medical marijuana history books, with several influential states poised to pass bills that would greatly expand the MMJ market. Measures to legalize medical marijuana – and set up a system of regulated cultivation operations and dispensaries – have a realistic shot of passing in both New York and Illinois, which rank as the third- and fifth-largest states in the nation by population. At the same time, a bill in Nevada that would pave the way for dispensaries is gaining traction among lawmakers, while the odds are good that several other states such as Oregon and New Hampshire will pass MMJ-related measures as well. If all or most of the measures pass, the medical cannabis industry would benefit from hundreds of millions of dollars in additional sales of marijuana, edibles and related products and services, thousands of jobs and potentially 200,000 or more new state-registered patients. About two dozen states introduced some type of cannabis legislation this year. Many bills have already died in the legislative process or been put on the back-burner, while several are still working their way through the legislative process but face huge resistance. Just one state – Maryland – has passed medical marijuana laws so far in 2013, but its program is so restrictive that some industry organizations don’t even count it as an “official” MMJ state. Illinois has the best chance at this point of becoming the next state to join the medical marijuana club. Last week, the state legislature approved a bill that would create a four-year pilot program allowing up to 60 dispensaries and 22 cultivation operations. Illinois Gov. Pat Quinn now holds the fate of the bill in his hands and is expected to make a decision in the coming weeks. While he has not given an indication of which way he is leaning, Quinn has said he is open to the idea of medical marijuana, and the state’s lieutenant governor supports the bill. Under the measure, patients with one of several dozen medical conditions could register with the state to use medical cannabis after receiving the go-ahead from their doctor. The list of qualifying medical conditions doesn’t include catch-all ailments such as “chronic pain,” which means the market will be much smaller than states with broader laws such as California and Colorado. Still, the list is extensive enough that Illinois would likely rank in the middle of the pack in terms of overall MMJ market size and near the top when it comes to near-term business opportunities. Anywhere from 50,000 to more than 100,000 patients could eventually qualify for medical marijuana cards, according to MMJ Business Daily estimates based on per-capita rates in other states with similar rules. The emergence of dozens of dispensaries and cultivation sites would create a sizable need for a variety of other services and products, such as packaging, cannabis testing, edibles products, legal and accounting services, consultancies, etc. The bill in New York is gaining traction as well, though it has a bigger mountain to climb than the Illinois measure given that it hasn’t been put up for a vote yet. The measure would allow patients with debilitating diseases such as cancer, HIV/AIDS and multiple sclerosis – but not chronic pain – to use marijuana for medical purposes. It would also create a regulated network of dispensaries and grow operations, though an exact number (or whether there will be caps at all) has not yet been determined. At first glance, the bill seems more limiting than the Illinois measure in terms of who would qualify to use medical cannabis, but patients numbers in New York would most certainly reach into the tens of thousands and could top 100,000 over time. Aside from the business implications, passage of MMJ laws in New York and Illinois would be a significant moral victory as well. Should they pass, three of the largest states in the nation (including California) would have MMJ laws on the books, helping to erode the federal government’s justification for opposing MMJ. What’s more, the states are spread across the nation, spanning the West Coast, Midwest and Northeast. In Nevada, a measure that would allow regulated, registered dispensaries to serve patients cleared a Senate finance committee this week, fueling hopes that lawmakers are finally ready to move forward and reform the state’s MMJ laws after years of inaction. Nevada voters approved the use of medical marijuana more than a decade ago, but the law doesn’t allow for dispensaries, meaning patients essentially have to grow their own cannabis. Local and federal officials have raided and shut down the few dispensaries and collectives that sprouted up several years ago. The patient base in Nevada is relatively small, with just 3,400 registered MMJ users. But the law would potentially allow more than 60 dispensaries in the state, including up to 40 in Clark County (which includes Las Vegas), so there would be plenty of business opportunities. Proposals in several other states will help fuel additional growth as well if passed, though not to the extent of what would develop in New York, Illinois or Nevada. Medical marijuana seems well on its way to becoming a reality in New Hampshire, for instance, but the state will likely just allow four or five dispensaries to operate. A bill in Oregon – which, like Nevada, already has medical marijuana laws but doesn’t technically allow dispensaries – would legalize and regulate retail MMJ shops. 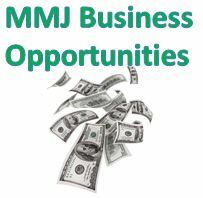 That would be a major win for the medical cannabis industry, but the business potential could be somewhat limited given that an estimated 150 to 200 dispensaries already operate in the state despite the current legal situation. If the bill passes, most of those would attempt to get a state license. Still, new operations would certainly crop up because the risks would subside greatly. According to a state analysis, the law would lead to an estimated 225 state-licensed dispensaries. Btw, the shots would now cost me more than $2,700 every three months! And I have access to MMJ and it saves me from a lot of pain and expenses.